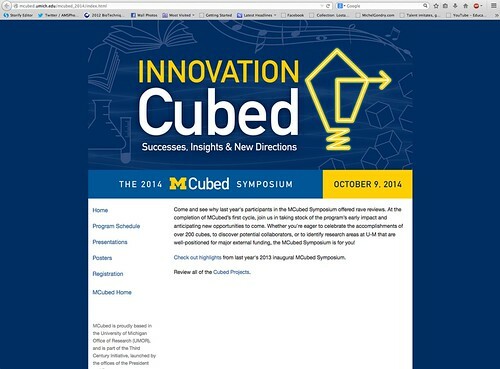 Last week saw the second annual MCubed Symposium. For those who aren’t aware of MCubed already, here is a little background about this fabulously creative approach to funding and fostering innovation and collaboration at the University of Michigan. Eventually there will be videos up for this year’s presentations (schedule), like there were last year, but for now you’ll have to settle for some tweets to introduce the high points. "All acts of communication are acts of translation." Great start to the @umich #MCubed Data, Networks, and Informatics session!